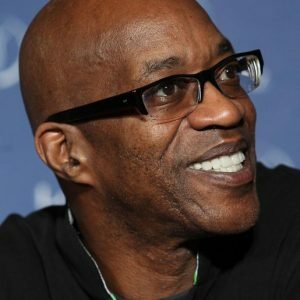 Edwin Moses won Olympic gold medals in 1976 and 1984, three World Cup titles, two World Championships and broke the World Record four times as a 400-meter hurdler. A noted humanitarian, he pioneered policies while Chairman of the United States Olympic Committee’s substance abuse, research, and education committee (CSARE) and is currently Chairman of the United States Anti-doping Agency (USADA). He attended Morehouse College, Bachelor of Science in physics; Pepperdine University, MBA; and received his Doctor of Science, honoris causa, from the University of Massachusetts, Boston. Edwin makes his home in Atlanta when not traveling as a key member of Laureus’s global leadership team. 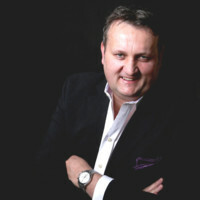 Daniel Mawicke served as President and CEO of Richemont North America, the leading international luxury group for fine watches, jewelry, writing instruments, and fashion; affiliate brands include Cartier, Van Cleef & Arpels, Chloé, Dunhill, Montblanc, Baume & Mercier, and Officine Panerai, where he has worked for over 20 years. Launching his career with Coopers and Lybrand in the USA and Switzerland, Dan was appointed Chief Financial Officer of Richemont North America in 1999 prior to becoming President and CEO in 2006. As CEO of Richemont North America, he serves as a founding member of Laureus Sport for Good Foundation USA. Steve Cannon is President and Chief Executive Officer at AMB Group, LLC. Mr. Cannon served as the Chief Executive Officer and President at Mercedes-Benz USA LLC. He was previously the Principal of the The Richards Group. Steve began his civilian career as an executive assistant to the president and chief executive officer of Mercedes-Benz North America. He moved to Stuttgart and joined a small team tasked with the development, manufacture and launch of the M-Class. In 1998, he moved to the financial services arm and served as Director of Marketing for debis Financial Services (later DaimlerChrysler Financial Services). 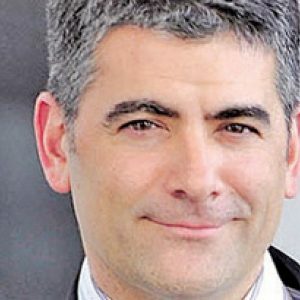 He left DaimlerChrysler Financial Services in 2000 for key positions in retail and e-business consultancies including Proxicom/Dimension Data. He is a United States Army Airborne Ranger and served as First Lieutenant in West Germany during the fall of the Iron Curtain. Steve holds a BS in economics from the United States Military Academy at West Point, where he graduated with honors. Marcus Allen is an American football legend and is the only player in the history of football to have won a Heisman Trophy, an NCAA National Championship, a Super Bowl, and be named National Football League (NFL) MVP. He has been inducted into both the College Football Hall of Fame and the Pro Football Hall of Fame. Drafted in the tenth round to the Los Angeles Raiders following his stellar career at USC, Marcus is considered one of the greatest goal line and short-yard runners in NFL history. He now serves as a football analyst for CBS Sports. Nadia Comaneci is a Romanian gymnast who won three gold medals at the 1976 Summer Olympics in Montreal and was the first gymnast to be awarded a perfect score of 10 in an Olympic gymnastics event. She also won two gold medals at the 1980 Summer Olympics in Moscow. One of the best-known gymnasts in the world, she was named as one of the Athletes of the Century in 2000 by the Laureus World Sports Academy. Nadia and her husband Bart Conner, two-time Gold medalist in LA 1984 gymnastics, own and manage the Bart Conner Gymnastics Academy, the Perfect 10 Production Company, and several sports equipment shops. They live in Norman, Oklahoma with their son, Dylan. 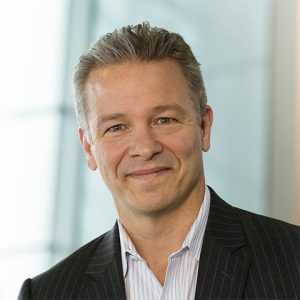 Dietmar Exler is CEO and President of Mercedes-Benz USA, LLC. Exler previously served as Vice President for Mercedes-Benz Financial Services USA and Chief Operating Officer of Daimler Financial Services. Originally from Austria, Exler studied at Johannes Kepler University in Linz, where he received his JD. He also holds a master of laws from the University of Chicago and currently resides in Brookhaven, Georgia. Thomas C. Danziger is Managing Partner in the law firm Danziger, Danziger & Muro, LLP. Tom has been a US Laureus Director since 2011, and he and his firm for 10 years prior were legal advisers to the Global Foundation. His clients include many international luxury brands and well-known chefs and restaurants. Thomas is one of the best-known lawyers in the art world, and he co-authors a regular column on art-related legal issues in Art + Auction magazine. He lives in New York City with his wife and their son. Tom is an avid (and generally frustrated) golfer who is fluent in French. Cathy Griffin has served various roles in the sports business industry, including Pepsi-Cola sports marketing, Sports Illustrated assistant to the publisher, Interactive Television VP, World Cup Soccer 1994 VP, Nike consultant, ABC sports production, CBS radio host, executive leadership search, and career coaching. An advocate for the benefits of sports participation for men/women and girls/boys, Cathy is a former Director of the Women’s Sports Foundation. She climbed Mt. Kilimanjaro with handicapped adults to help bring support for those with challenges — this “vacation” was filmed by CBS Sports and won an Emmy Award. Cathy lives and works from a plane, and also from her 500-square-foot fishing cabin in Oregon, with her phone and computer by her side. Joseph Agresta is the President of Benzel-Busch Motor Car Corp in Englewood, New Jersey, where he has been employed since 1988. He served as Chairman of the Mercedes-Benz Dealer Board and is currently the Treasurer of the Audi Regional Advertising Board, Vice Chairman of the Englewood Economic Development Corp and Board Member to the Elisabeth Morrow School. 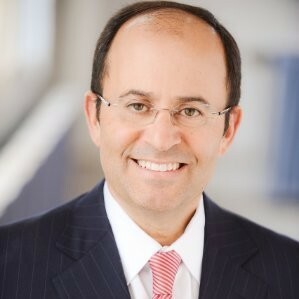 Joseph has also previously served on the Essex Regional Board of Team Capital Bank, the Marketing and Digital Marketing Boards of Mercedes-Benz; served as the President of the Mercedes-Benz Tri-State Dealers, the John Harms Theater, the Bergen Performing Arts Center, the Englewood Chamber of Commerce and the Archdiocese of Newark CYO. Joseph earned his MBA at Columbia University and has an undergraduate degree from Boston College. Joseph is a volunteer firefighter in the town of Rockleigh, New Jersey, where he resides with his son and daughter. He is also an avid skier, hockey player, runner, and two-time marathoner: Boston, 1988 and New York, 2008. 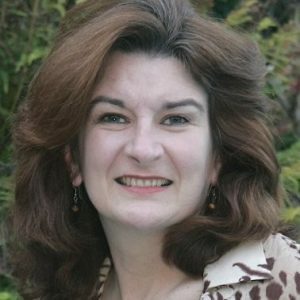 Sandra Kelly has an extensive professional business background in banking and Human Resources Management. She served as Human Resources and Benefits Officer at Wilmington Savings Fund Society Bank and in corporate companies for over 25 years. Active in the United States Olympic Committee and sports movement, Sandra served on the Olympic Committee’s International Relations Board and was Olympic Protocol Advisor. She has a passion for the City of Philadelphia acting as Ambassador to the City. Supporting her community and professional organizations, she is a Board of Director of the Curtis Institute of Music, Philadelphia Sports Congress, USO, American Society for Personnel Administration, and National Association of Bank Women. Mark Ratcliffe serves as Managing Director at UBS within the Investment Banking division. Currently Head of Global Client Strategy for the Fixed Income business, his 16-year tenure with UBS has spanned Equities, Foreign Exchange, and Fixed Income. During this time, he has lived in London, Zurich is has been based in New York for the last seven years. His career in finance started in South Africa after completing a Bachelor of Business Science from the University of Cape Town majoring in finance and economics. Mark lives in Westport, Connecticut, with his wife Deborah and their two daughters and is an avid sports fan. Having been born in Zimbabwe and raised in South Africa, he grew up in a culture where free time was spent with a tennis racket, cricket bat, hockey stick, rugby, or soccer ball never far from reach, but his real passion is golf, which he has been fortunate to play at a competitive level. Jim Ross is the VP of Sales and Partnerships – Sports, Media and Entertainment for First Data. A majority of Jim’s career has been spent in senior level executive positions with major league sports franchises. He has the unique distinction of having held Vice President positions with both of New York’s Major League Baseball teams (Mets and Yankees) as well as two of South Florida’s professional sports franchises (Marlins and Dolphins), and has taken part in two World Series (1997 with the Marlins and 2009 with the Yankees), an All-Star Game (2008 with the Yankees), and a Super Bowl (2007 with Dolphin Stadium). 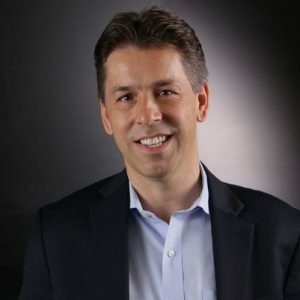 Previously, Jim has also served as Executive Vice President, Business Operations and Strategy for Palace Sports and Entertainment and Senior Vice President, Business Development for the Cleveland Browns. He and his wife, Elisa, have two children and reside in Bloomfield Hills, MI. Guy Sanan has worked for The Richemont Group since 1998 and has reported to The Executive Chairman, Johann Rupert, since 2004. Within The Chairman’s Office, his responsibilities include overseeing various Group sponsorships, events, and CSR/Foundation platforms. 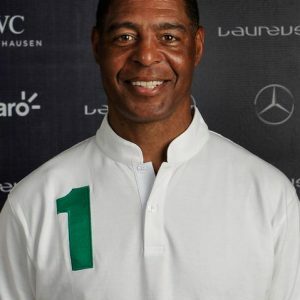 For the last 15 years, he has served as a Director of the Joint Venture Board of Laureus World Sports Awards and has been a Trustee of The Laureus Sport for Good Foundation (Global) since 2005. He was seconded as CEO of Laureus World Sports Awards from 2004 to 2017. 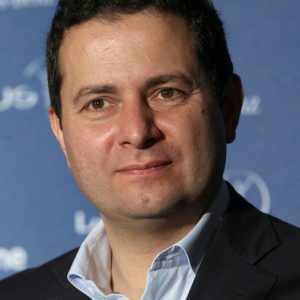 In 1998 he joined the initial team, which wrote the original business plan for Laureus, negotiated the Joint Venture with Daimler, organized the inaugural Laureus Awards, and established the current Global/National Foundation Structure. Prior to this he wrote his doctoral thesis at the University of St Andrews in the Department of International Relations (on Counter Terrorism), and he subsequently worked for the Organizing Committee for the 1996 Atlanta Olympic Games. He has also advised a number of organizing and bid committees for the Olympics and the FIFA World Cup and earned his MA in business management with international relations at the University of St Andrews in 1991.